The commission, through its counsel Pradeep Rajgopal, was responding to a Public Interest Litigation (PIL) filed by a lawyer, Sagar Suryavanshi. The bench directed both parties to submit suggestions on ways to regulate such paid political content on social media before polling day. 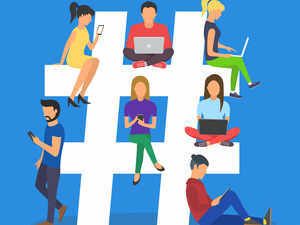 MUMBAI: The Election Commission of India (ECI) on Friday told the Bombay High Court that it could not restrain private individuals from making political comments or posts on social media in favour of or against any political party 48 hours before polling day. The PIL sought directions to the ECI to prohibit all persons, whether politicians or private individuals, from posting advertisements related to politics or elections, or paid political content on social media platforms such as YouTube, Facebook and Twitter, 48 hours before election day. The ECI told a bench of Chief Justice Naresh Patil and Justice N M Jamdar that there already existed rules prohibiting politicians and political parties from indulging in any form of political advertisement or campaigning 48 hours before polling day. Advocate Rajgopal submitted that Section 126 of the Representation of Peoples Act, 1951, prohibited public meetings, processions, campaigns etc 48 hours before polls. He told the court the display of advertisements and paid political content through electronic media just before polling day was also prohibited under the Act and social media posts were also covered under these restrictions. "However, if an individual makes a blog post or Twitter post in his or her individual capacity in praise of any one political party or its policies, then how can the Election Commission stop him or her," Rajgopal said. The petitioner's lawyer, Abhinav Chandrachud, however, told the bench that social networking sites such as Facebook had advertising policies in the UK and the USA where all advertisements and paid content were subjected to a strict verification process. He argued that a similar policy must be implemented in India too.